How often do you find a catchy, American-sounding pop song you like, spend months singing along to it, and then find out it was actually produced or sung by a Swedish artist? It’s becoming a common occurrence, and it probably won’t surprise you to learn that Sweden is in fact the world’s third largest music exporter following the US and the UK. The legendary Eurovision winners ABBA, world-famous producer Max Martin –whose number one hits include Britney Spears’ ‘Baby One More Time’ and Katy Perry’s ‘I Kissed a Girl’ – popular DJ Avicii and electropop duo Icona Pop, whose hit ‘I love it’ played on repeat worldwide, are just a few of the Swedish acts worth mentioning. 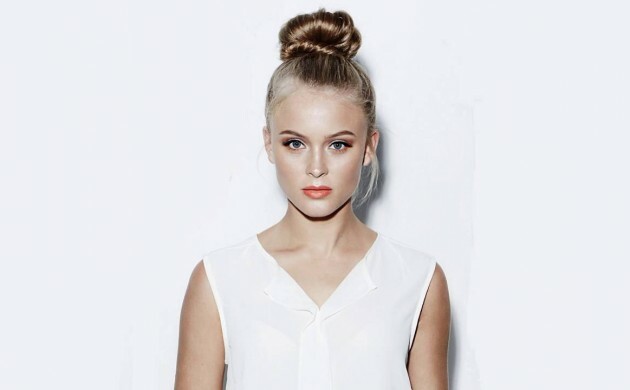 The 18-year-old Stockholm-born singer Zara Larsson, whose vocals recall a mix of Sia and Rihanna, is the latest addition to the list and is set to become the country’s next pop-star. The Copenhagen Post met the Swedish star last Friday before her awaited show at Copenhagen’s Tivoli to talk about her recent career boost and upcoming plans. If the name Zara Larsson does not ring a bell, the catchy refrain from her popular hit ‘Lush Life’ will most definitely sound familiar. Bare in mind that the Swedish star is currently the 19th most listened-to artist on Spotify, with no Scandinavian city included in the top five locations she is played in. “You have to remember that Beyonce’s Lemonade is not on Spotify,” Larsson told the Copenhagen Post when told the US superstar is ranked as the 44th most listened. “But considering that Spotify is the number one platform in Europe and Scandinavia, this feels surreal to me”. Zara recalls two times in her life when her career took off. The first one was her victory at the age of 10 at Talang, the Swedish version of the popular show Got Talent; and the second was the release of her first single, ‘Uncover’, in 2013 when she was 16. The song was hugely successful in Scandinavia and the singer performed at the Nobel Peace Prize concert the same year. The singer’s popularity in Europe and overseas has overwhelmingly grown throughout the past year. To put things in perspective, her hit ‘Never Forget You’, produced in collaboration with British singer MNEK, topped the European charts. She performed in front of thousands at Wembley Stadium for this year’s ‘Summer Time Ball’, an annual show put on by Britain’s popular Capital Radio that invites the year’s hottest starts to perform. And finally, she was chosen to sing this year’s Euro 2016 official song ‘This One’s For You’, which was produced by popular French DJ David Guetta. Needless to say, her success is growing at an incredible rate. Her worldwide debut album will be released in September and she is planning a tour to promote it. She performed four of her new songs at Tivoli last Friday in front of a huge, cheering crowd. “I feel so good, and as I do not come from a music family, this feels even more surreal,” she revealed.